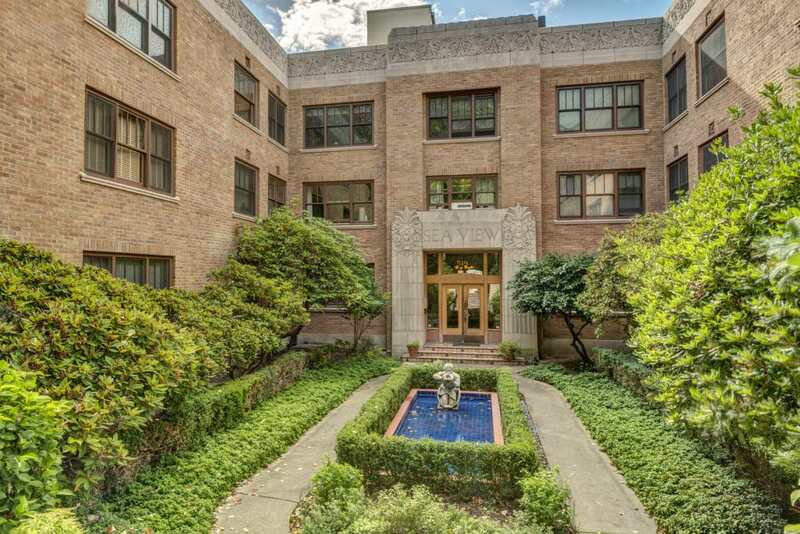 The Seaview Condo building is one of the few art deco pre-war buildings in Seattle. Vintage details of this amazing pre-war condo greet you as soon as you walk inside the building. Original plaster walls, restored light fixtures, retro elevator, and of course, the ziggurat arches are refreshing to experience. 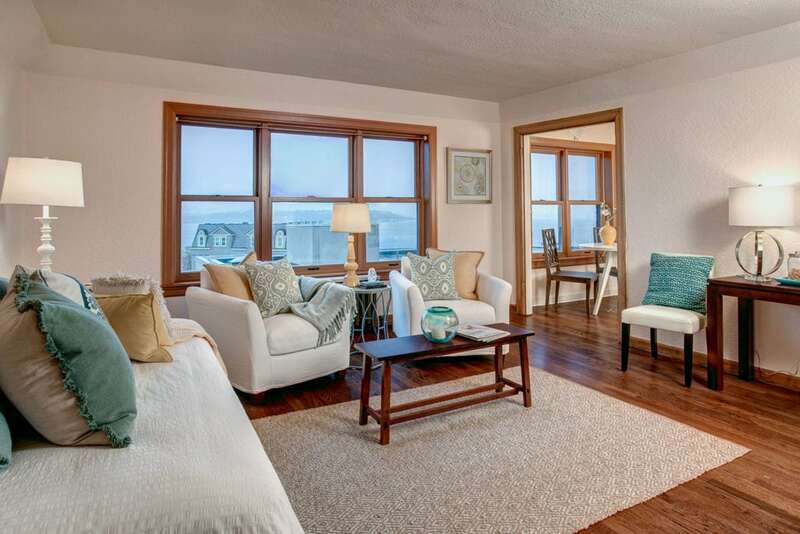 Upstairs you will love this top floor view home. Unit #409 is not only a perfect example of these stunning vintage details but only a few homes have these fabulous top floor views. And when we say views. 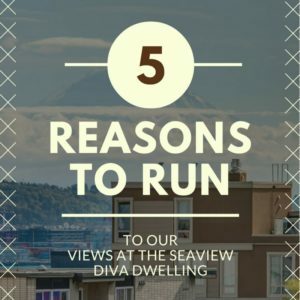 We mean views of Mt Rainier, Downtown, Elliott Bay, and out to the Olympics all in an efficient and well-loved space. 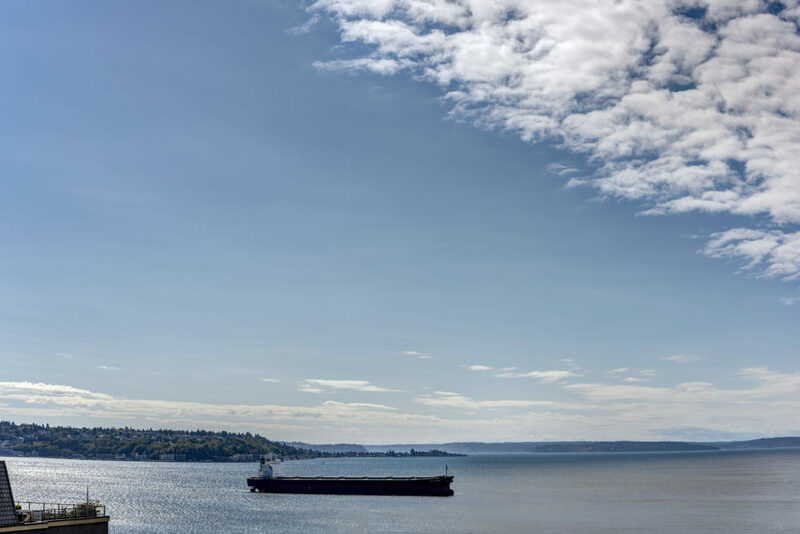 Just sit back, relax, and watch the ferries come and go during the day. 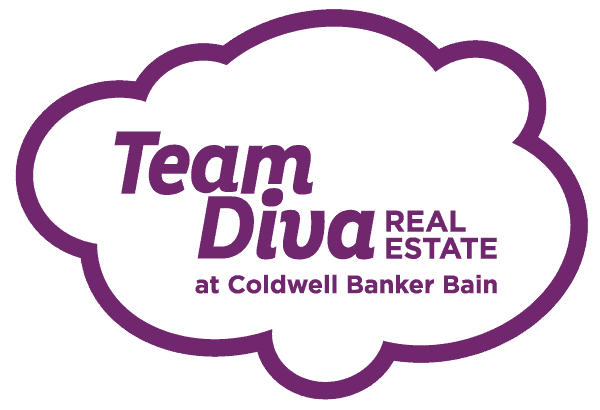 Or enjoy twinkling lights of the city at night as you host friends for a soiree before heading out to see a show at On the Boards. Once you stop gazing outside you will be wowed by the original detailing inside this home. Vintage home lovers will adore the gleaming hardwoods as they accent the original art deco architecture. 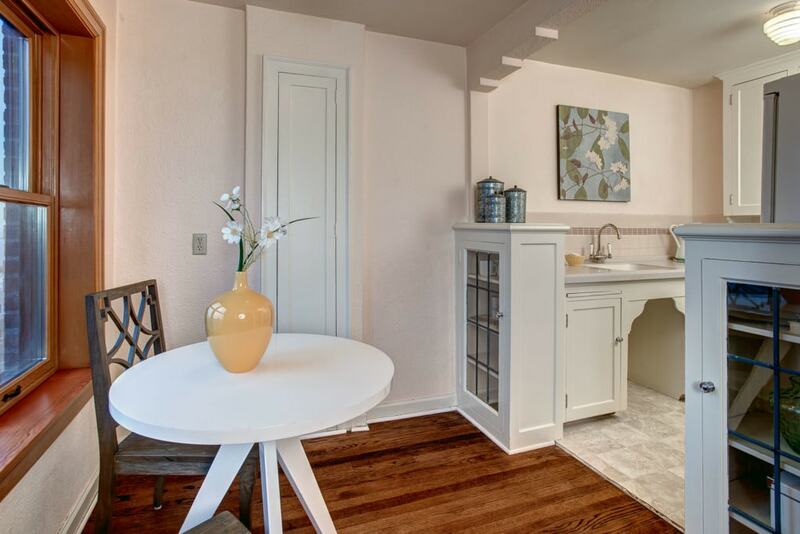 The original leaded glass dining nook cupboards and french doors to the walk-in closet are perfection. Don’t forget to check out the restored kitchen cabinets and the cute as can be original ice box. Squeel!!!! Very well managed 1920s building. 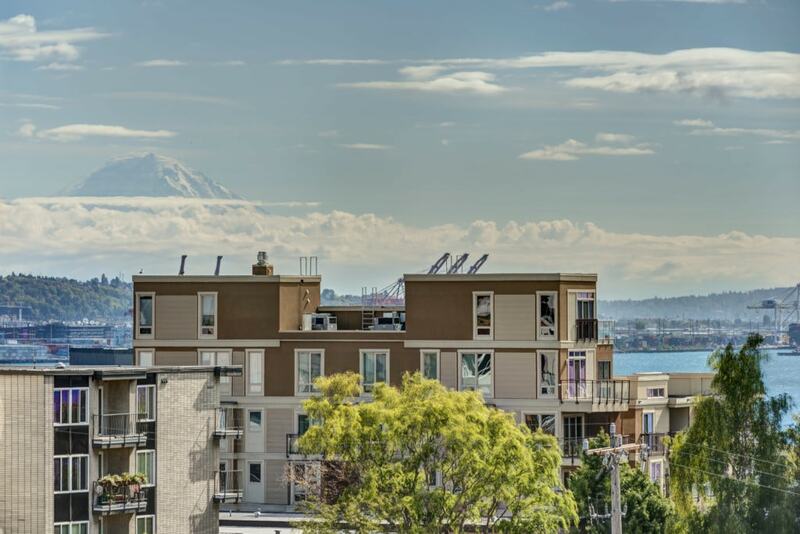 No Rental Cap but the owner does need to live in the unit for the first year before renting.